Entries are now open for the PRWeek Awards 2018, the most prestigious awards ceremony for the UK PR industry. Weber Shandwick picked up five PRWeek UK Awards last year - who will win big in 2018? 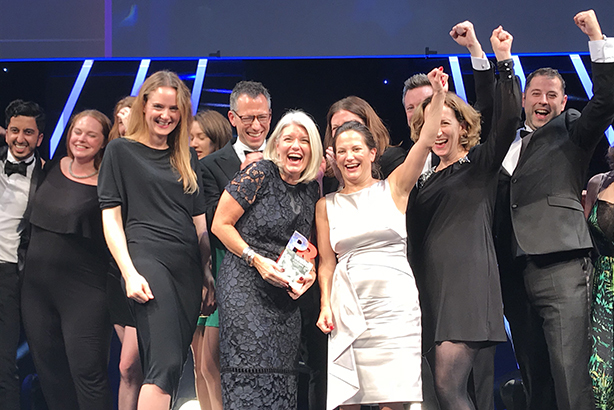 The winners will be announced at a gala awards evening taking place in London on Tuesday 16 October, where the best agencies, in-house teams and individuals will be crowned. The deadline for submission is 24 May. Entries submitted after that date, but before the late deadline of 7 June, will incur a late fee per entry. A breakfast briefing on how to write an award-winning entry, featuring a panel discussion with former judges, also takes place in London on Monday 23 April. Click to see the full list of winners from the PRWeek Awards 2017.